There have been times this basketball season when BYU coach Dave Rose wishes the sport were more like football. Rose met with reporters on New Year’s Day and spelled out some of the reasons the Cougars are just 8-7 and have lost three straight games for the second time this season heading into Thursday’s WCC opener at Pacific. In other words, Rose has a bunch of one-dimensional players on his hands — guys who can either play offense or defense, but not both. He’s not naming names, but it is pretty apparent that the Cougars have been a disappointment halfway through the season — even to their coach. Indeed, the Cougars are suspect defensively. But they aren’t really that great on offense, either, despite Rose’s claims. Case in point: BYU is tied for 306th (out of 351 teams) in the country in 3-point shooting percentage, at 30.4 percent. BYU’s Rose isn’t sure whether the WCC has really improved, or if several teams took the easy way out in regards to non-conference scheduling. But star forward Yoeli Childs seems convinced the league is better and deeper than ever. 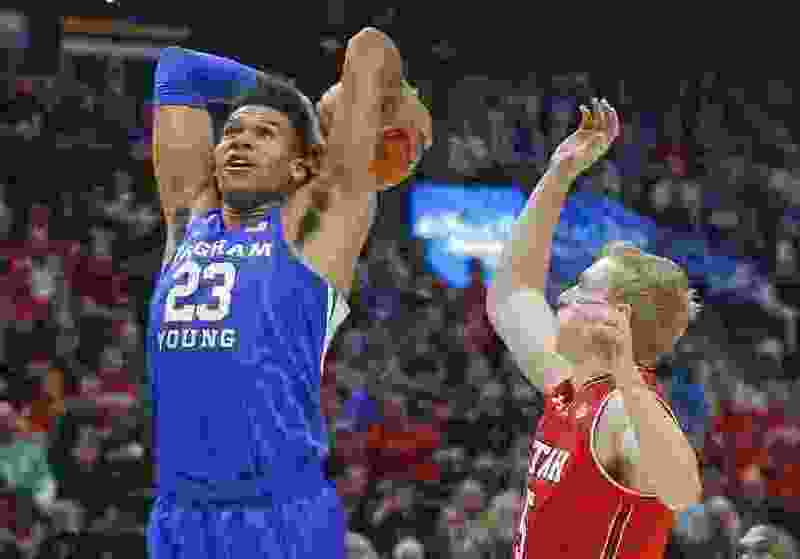 “Yeah, it might be the best top to bottom in conference that it has been since BYU entered it,” Childs said. “There are a lot of really good teams. San Francisco is playing great, San Diego is playing great. You obviously have Gonzaga, who has been unbelievable this year. Saint Mary’s is really good. So, top to bottom it is a good conference, and we are excited that everybody is coming in 0-0. • BYU’s women’s basketball team is quietly putting together another strong season, after a rocky start. The Cougars (10-3, 2-0) opened the WCC race with two road wins, knocking off Santa Clara and San Francisco, and have now won four straight games. The Cougars host Pepperdine on Thursday and LMU on Saturday at the Marriott Center. Freshman guard Shaylee Gonzales has emerged as the leading scorer, averaging 17 points per game, while sophomore Paisley Johnson and junior Brenna Chase are also scoring in double figures. Junior Shalae Salmon, from New Zealand, leads the team in rebounding (5.7 rpg.). • BYU quarterback Zach Wilson is one of eight quarterbacks on the Touchdown Club of Columbus’ 2019 Players to Watch list. The other quarterbacks are Sam Ehlinger of Texas, Justin Herbert of Oregon, Kelvin Hopkins Jr. of Army, D’Eriq King of Houston, Kellen Mood of Texas A&M, Jordan Love of Utah State and Brady White of Memphis. The Touchdown Club of Columbus presents the Sammy Baugh Trophy annually to the nation’s top quarterback. BYU QBs have won seven Sammy Baugh trophies — more than any other school.